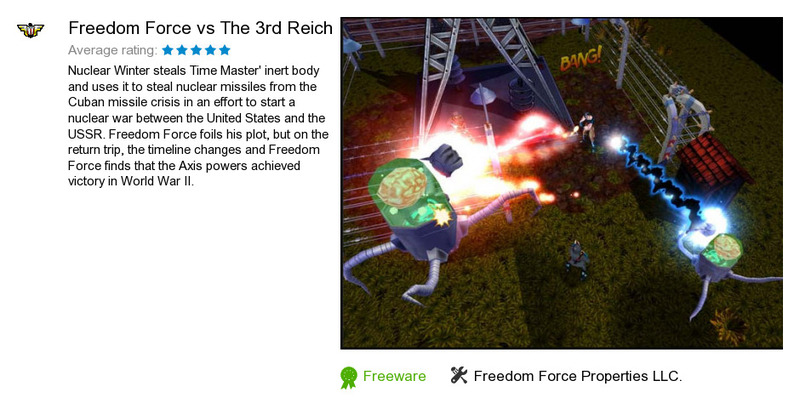 Freedom Force vs The 3rd Reich is an application developed by Freedom Force Properties LLC.. We know of versions 1.3, 1.1, 1.0. Version 1.3 is available for free download at our site. Freedom Force vs The 3rd Reich distributive has a size of 20,021,383 bytes.